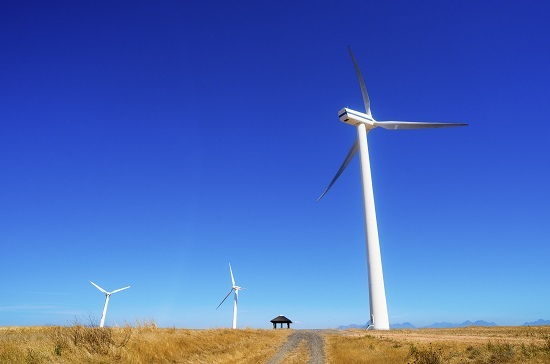 Chairman of the Lake Turkana Wind Power Project Mugo Kibati has revealed that all 365 turbines will be connected to Kenya’s national grid by the end of the month. Kibati said that around 225 turbines have been connected to the power grid as of last week, with an average of 10-12 turbines added daily to Africa’s largest wind power project. Each turbine, manufactured by Danish firm Vestas, will supply a peak of 850KW of renewable energy to Kenya’s power grid, while the overall 310MW wind farm is set to supply 16% of the country’s total energy production capacity. Lake Turkana is also set to reduce power outages by 12.5% and cut power costs by between 7-10% over the next few years. “Depending on how KPLC [Kenya Power and Lighting Company] dispatches the power and how the energy mixes with the successful completion of the T-Line, grid stability in the entire Kenyan grid should improve. This ought to result in better quality of power,” said Kibati. The project experienced delays in the construction a transmission line after the company was forced to change its main contractor – Spain’s Grupo Isolux Corsan, who filed for bankruptcy in July 2017.